It’s time for our second brand review article, where we will take a look at why The North Face is so expensive and whether or not their products justify the price. Our first brand review was about Canada Goose and we will be following a similar structure for this review also. Why Are Their Jackets So Popular? Why Are Their Jackets So Expensive? The North Face is one of the most featured brands in our reviews and selections, because their jackets offer outstanding performance and are some of the most durable ones in the market. This is an American brand, so we are still in the North American continent this week. It was established in 1966, firstly selling outdoor gear for backpackers and climbers. Later, in the ’80s, their product range was expanded and skiwear, along with camping equipment were launched to the public. Nowadays you can find anything you might need for an outdoor trip or adventure, whether you are a seasoned sportsman or just enjoy camping and hiking every once in a while. The North Face’s popularity, however, stems from their insulated jackets which are famous worldwide and a favorite among men, especially. Several high-end brands are renowned for their own fabric technologies, but few provide as many options as The North Face does. Their partnerships with other companies that specialize in insulation and jacket membranes have revolutionized their jackets. Along with Primaloft®, The North Face developed ThermoBall™, a round synthetic insulation that mimics down’s ability to trap heat, without the downside of losing its abilities when wet. GORE-TEX®‘s membranes are the reason behind The North Face‘s weatherproof jackets, which unlike other waterproof jackets in the market, are highly breathable. They also use Polartec® fabrics, as well as WINDSTOPPER® soft shells, which are fantastic insulating fabrics and suitable for the harshest conditions. But The North Face has also developed its very own, unique fabrics, such as DryVent™, that is also waterproof, windproof and breathable. 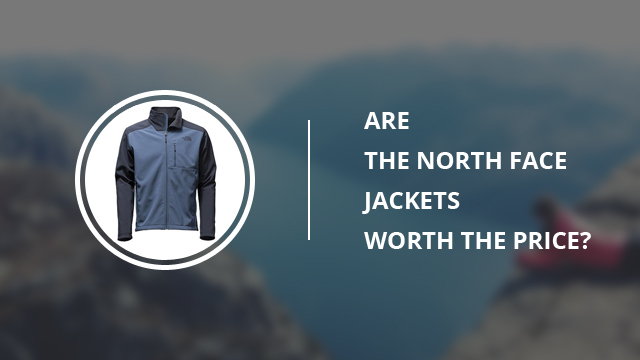 This technology comes in three options, depending on the requirements of certain jackets. TNF™ Apex is another fabric technology exclusively used in some of their best-selling soft shell jackets, which prevents overheating due to the highly breathable shell and keeps the jacket dry by utilizing the water-resistance of DWR treatment. The North Face is one of those brands that believe that a connection with nature is a key factor in not only providing the best quality gear for outdoor adventures, but also as a means to give back to nature and ensure that no harm comes to it. As such, their numerous campaigns and donations to different organizations, have helped preserve land and water habitats all over the world. Bear mentioning The Conservation Alliance, Leave no Trace and The Access Fund, as well as their 2016 petition to save the Alaskan Arctic Refuge. This has played an important role in how the public and customers, especially, view The North Face. It has helped the brand create a great image in the public eye, which only adds to their already well-established product reputation for quality and performance. Being a brand that provides such an extensive product range, with everything necessary for any outdoor activity, is quite convenient to customers as they won’t have to spend extra time by having to go from brand to brand for different products. Plus, being a well-known brand for their products performance and durability, this also factors in, since people already trust the brand and the chance for disappointment is very slim. Whether you live up North or just simply want a jacket that withstands mild winters, The North Face jackets are some of the best insulating options you will find. They withstand freezing temperatures effortlessly, which is the sole reason why we turn to jackets when the need arises. The answer for this would be quite simple, it’s all about the quality. When you take into consideration the performance of a jacket, there are many other brands that offer great options. But The North Face does not solely provide a seasonal jacket that you will wear for only one or two years. Online reviewers and loyal customers all rave about the quality of these jackets and how well-made they are. 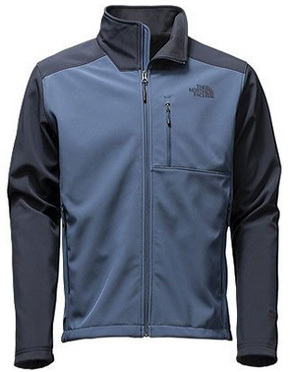 A typical The North Face jacket will not give into the elements for a very long time and online you can easily find impressions of people who have had these jackets for over 5 years and they still look and perform as new. Plus, they all come with Lifetime Warranty, which is always an indicator. Plus, factoring in their special fabrics, which we mentioned previously and their use of recycled materials, you are getting a jacket that is not only well-made but also responsibly-made. If you want to look at purchases as an investment, then yes, a North Face jacket is a great investment. They are long-lasting and perform beautifully. They are worth the price tag if you want an insulating layer that gets the job done without excuses. No overheating, no hindrance, no issues. If you are an avid sportsman and outdoor lover then very few brands will compare to The North Face when it comes to not only jacket quality and durability, but also product versatility. Soft shells, hard shells, down-insulated, synthetic-insulated, puffer jackets and practically any other type of jacket that you might require are all available from this brand. “You get what you pay for” would be the best answer to this question. Previous Article← Why Is Canada Goose So Expensive? Are Their Jackets Worth The Price? I recently bought a North Face goose down jacket. The fit is great and the warmth it gives is also impressive. However the outer shell is so fragile that it tore within three days without me even noticing. I returned it to North Face who claimed that it tore (really?!?) and that the limited warranty does not cover ‘normal’ wear and tear. As the article states: “You get what you pay for” and in this case it is (unfortunately) true, as it is one of the cheaper down jackets that North Face sell. If you want a tougher jacket either pay more or look to another brand. Thanks for your comment Roy! I also had a problem with a beanie from TNF. After 2 months of use, the top part of it where it connects to the pom-pom ripped apart. I was very surprised at the bad quality, cheaper beanies had lasted me multiple winters until I lose them! Luckily, they honoured the warranty and I got what I paid for, otherwise, it would have been a very expensive beanie.